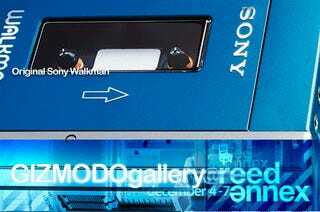 If you needed something to listen to while you're playing with the Lego Death Star at Gizmodo Gallery, how about the original Sony Walkman? That's right, old tapey himself is going to be there, FFing and RWing it up for your enjoyment. Curious what kinda battery this thing takes? What input/outputs it has? Come down and take a look.